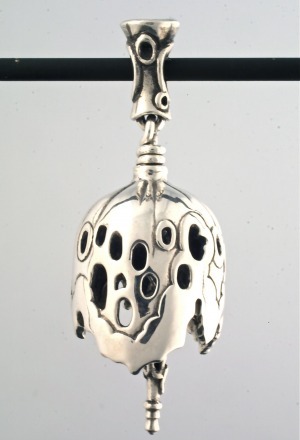 A collection of jewelry bells designed by artist Gordon R. Barnett & cast in silver, bronze & gold. Created for fashionable gifts & symbolic talismans, delightful in sight & sound, touching deeper sensory connections as well. Each bell rings its own story. 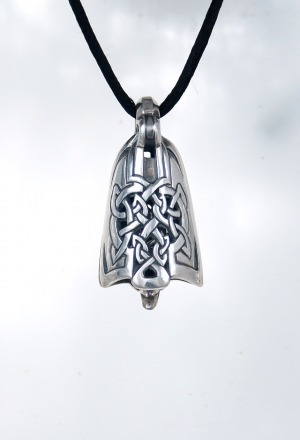 GRB Bells are cast using traditional lost wax methods along with many contemporary refinements in technology. 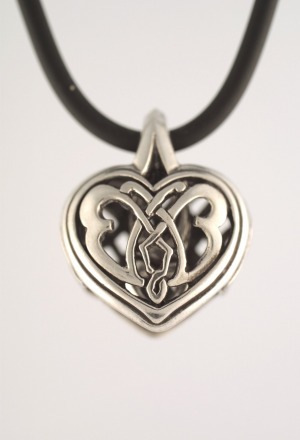 They are brought to a rich finish with a jeweler’s skill, plus unusual care. More than three decades ago an impulsive notion made a connection for me to the old-fashioned, indeed ancient, idea of a precious bauble which makes sound. I’ve come rather to believe that these venerable archetypes wanted to live more lively again… if I hadn’t paid attention I believe they would have found someone else… indeed, I am happy to know I am not alone in this enthrallment! 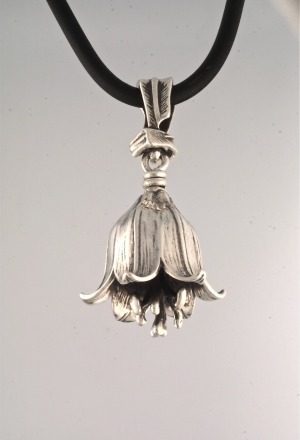 My trail of some 250 unique jewelry bell designs makes probably the largest Collection in production by a single designer. Apparently, they are not finished with me yet! I made the first Bell Design believing I could only sell one design each year, as a limited edition, & that ONLY at Christmas..! Time showed me otherwise as the IDEA of bells kept ringing clearly true for me. I love learning to hold the threads of those concepts in a way that they can dialogue together & weave into new visual forms… each having a resonant voice! After all of that the music of bells, as I experience them, is simple magic. That is to say, I have little essential control over how they sound. I’ve tried to figure it out. I’ve come to appreciate how makers of more musical bells, like those used by hand bell choirs or in Carillons, work their craft to near perfection of tone… the traditionally shaped larger bells are the result of aeons of study in the musical resonance. 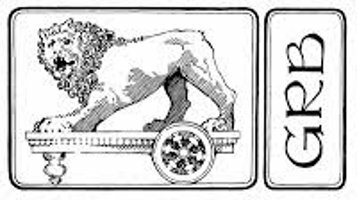 But, I’m a miniaturist… a jeweler, a less mechanical sculptor. While I love the music of bells, & the physics of sound, I am first a visual artist… I must explore their aspects primarily in the visage of aesthetic form.